Almost cosmopolitan, the family Apiaceae, also known as Umbelliferae, grows in the tropics too, although they have a clear preference for temperate climates. 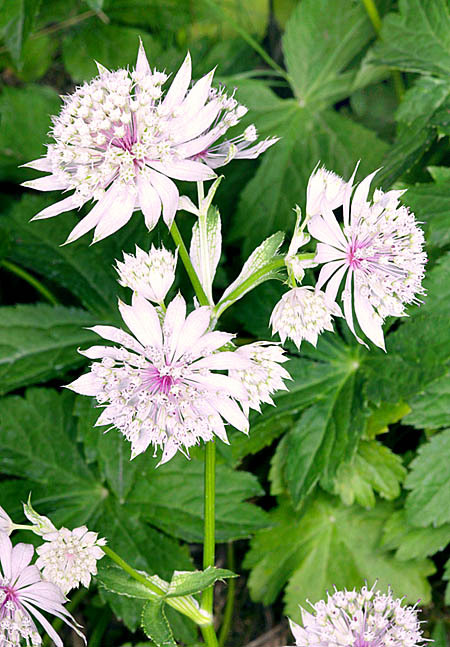 Herbaceous, annual, biennial or perennial plants with the characteristic inflorescence, the umbel, developing sometimes in imaginative variations. Food plants, such as the famous carrot, and spices grown since ancient times, forgotten their medicinal properties. Kalakia, Kamelinia, Karnataka, Keramocarpus, Klotzschia, Korovinia, Korshinskia, Korshinskya, Krasnovia, Krubera, Kundmannia, Ladyginia, Lagoecia, Laretia, Laser, Laserpitium, Lecokia, Lefebvrea, Leiotulus, Leptotaenia, Lereschia, Leutea, Levisticum, Libanotis, Lichtensteinia, Ligusticopsis, Ligusticum, Lilaeopsis, Limnosciadium, Lipskya, Lisaea, Lithosciadium, Lomatium, Lomatocarpa, Lomatopodium, Mackinlaya, Magydaris, Malabaila, Mandenovia, Margotia, Marlothiella, Mediasia, Meeboldia, Melanosciadium, Melanoselinum, Meum, Micropleura, Molopospermum, Monizia, Mulinum, Museniopsis, Musineon, Mutellina, Myrrhidendron, Myrrhis, Myrrhoides, Nanobubon, Naufraga, Neogoezia, Neonelsonia, Neoparrya, Neopaulia, Niphogeton, Nothosmyrnium, Notiosciadium, Notobubon, Notopterygium, Ochotia, Oedibasis, Oenanthe, Oligocladus, Olymposciadium, Opopanax, Oreocomopsis, Oreomyrrhis, Oreonana, Oreoschimperella, Oreoxis, Orlaya, Ormosolenia, Orogenia, Oschatzia, Osmorhiza, Ostericum, Ottoa, Oxypolis, Pachyctenium, Pachypleurum, Palimbia, Paraselinum, Parasilaus, Pastinaca, Paulia, Pentapeltis, Perideridia, Perissocoeleum, Petroselinum, Peucedanum, Phellolophium, Phellopterus, Phlojodicarpus, Phlyctidocarpa, Physospermopsis, Physospermum, Physotrichia, Pilopleura, Pimpinella, Pinda, Platysace, Pleiotaenia, Pleurospermopsis, Pleurospermum, Podistera, Polemannia, Polemanniopsis, Polytaenia, Portenschlagiella, Postiella, Pozoa, Prangos, Prionosciadium, Psammogeton, Pseudocannaboides, Pseudocarum, Pseudocymopterus, Pseudopteryxia, Pseudoreoxis, Pseudorlaya, Pseudoselinum, Pseudotaenidia, Pseudotrachydium, Pternopetalum, Pterygopleurum, Pteryxia, Ptilimnium, Ptychotis, Pycnocycla, Rhodosciadium, Rhysopterus, Rhyticarpus, Ridolfia, Rouya, Sajania, Sanicula, Saposhnikovia, Scaligeria, Scandia, Scandix, Schrenkia, Schtschurowskia, Schulzia, Sclerosciadium, Sclerotiaria, Scrithacola, Selinum, Semenovia, Seseli, Seselopsis, Shoshonea, Silaum, Sinocarum, Sinolimprichtia, Sison, Sium, Smyrniopsis, Smyrnium, Sonderina, Soranthus, Spananthe, Spermolepis, Sphaenolobium, Sphaerosciadium, Sphallerocarpus, Sphenosciadium, Stefanoffia, Steganotaenia, Stenocoelium, Stenosemis, Stenotaenia, Stewartiella, Stoibrax, Synelcosciadium, Taenidia, Talassia, Tamamschjanella, Tana, Tauschia, Thamnosciadium, Thapsia, Thaspium, Thorella, Thunbergiella, Tiedemannia, Tilingia, Tinguarra, Todaroa, Tongoloa, Tordyliopsis, Tordylium, Torilis, Trachydium, Trachysciadium, Trachyspermum, Trepocarpus, Trigonosciadium, Trinia, Trochiscanthes, Turgenia, Uraspermum, Vanasushava, Vicatia, Vvedenskia, Washingtonia, Xanthosia, Xatardia, Yabea, Zizia, Zosima. 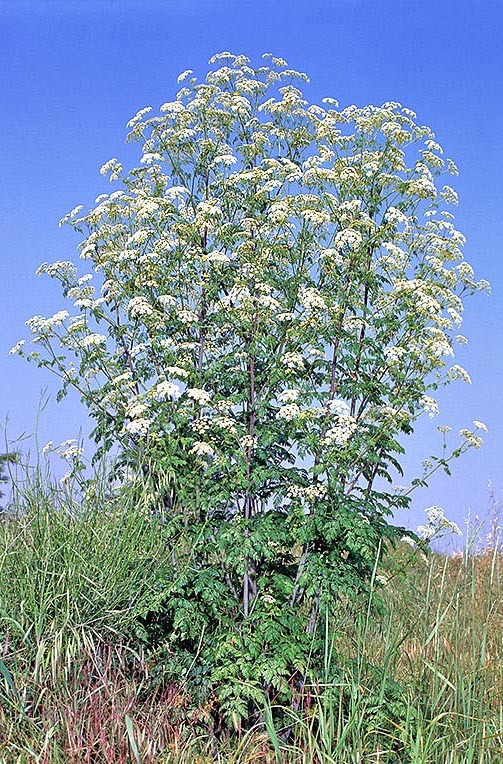 → To appreciate the biodiversity within APIACEAE family please click here.